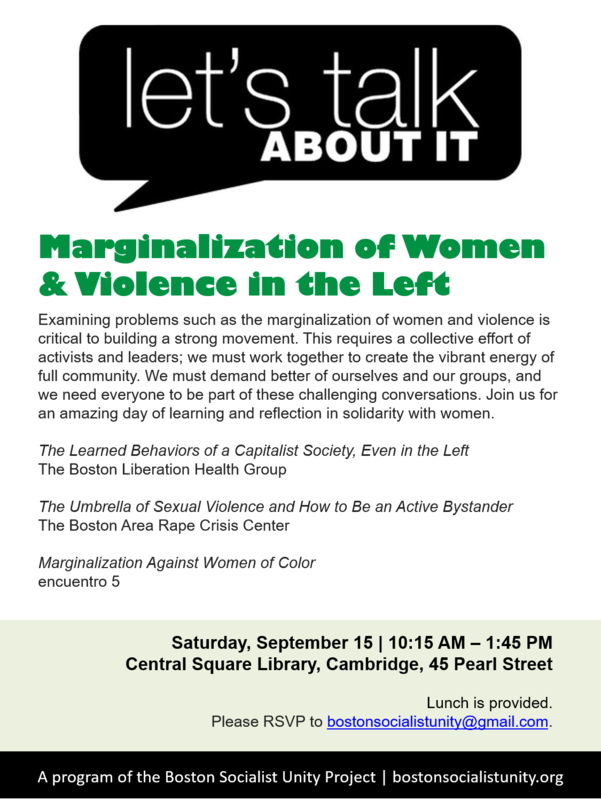 Examining problems such as marginalization of women and violence is critical to building a strong movement. This requires a collective effort of activists and leaders; we must work together to create the vibrant energy of full community. We must demand better of ourselves and our groups, and we need everyone to be part of these challenging conversations. Join us for an amazing day of learning and reflection in solidarity with women!